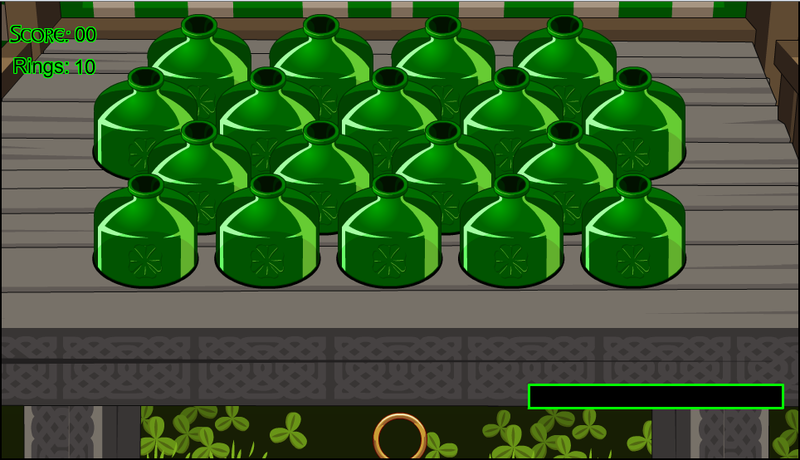 Choose which bottle you want the ring to be on with the mouse. Hold the mouse for as long for where the bottle is. Get as many rings onto the bottles with 10 chances. 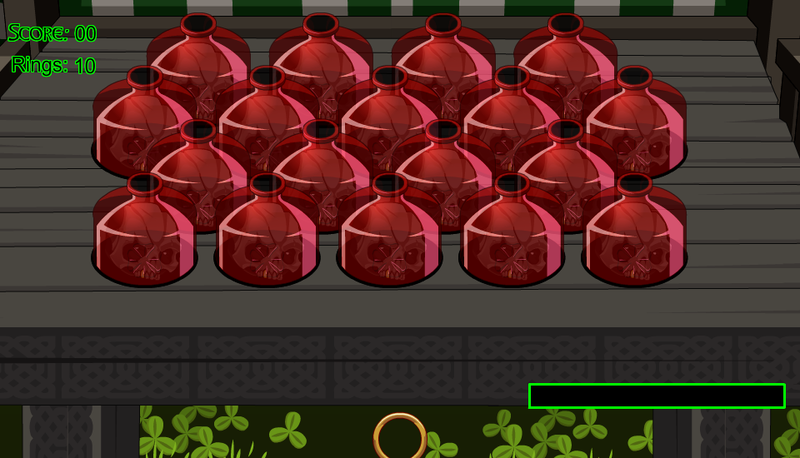 Note: The times you get the rings onto the bottles decides how many tickets you get. Thanks to Harrison, MaiNeym and Rich Wind.